This course combines anatomy and physiology with medical terminology. You will learn about the digestive, urinary, reproductive, nervous, cardiovascular, and respiratory systems. For each system, we will discuss the organs, the functions of each component, common disease processes and symptoms, and anatomical terminology. You will learn common prefixes, suffixes, and terminology related to disease processes of specific body systems. Anatomy and Terminology 1 will cover approximately 50% of the body systems and Anatomy and Terminology 2 will cover the other 50%. * Textbook is required for first class. Find it at the Burnaby campus bookstore and on their website: www.bcitbookstore.ca/bcit * Attendance to the first class is mandatory, no late registrations. * If this section is full, you can SUBSCRIBE to be notified if another section gets scheduled. Analyze and divide medical words into component parts. Build medical words using common suffixes, prefixes, and combining forms. Name the organs of the digestive system. Describe the functions of all the components of the digestive system. Describe the common disease processes and symptoms that affect the digestive system. Name the organs of the urinary system. Describe the common disease processes and symptoms that affect the urinary system. Use terminology related to the organs and diseases of the urinary system. Name the organs of the male and female reproductive systems. Describe the common disease processes and symptoms that affect the male and female reproductive systems. Use terminology related to the organs and the diseases of the male and female reproductive systems. Name the organs of the nervous system. Describe the function of all the component parts of the nervous system. Describe the common disease processes and symptoms that affect the nervous system. 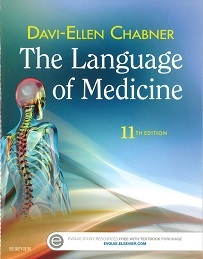 Use terminology related to the organs and diseases of the nervous system. Name the organs of the cardiovascular system. Describe the function of all the components of the cardiovascular system. Describe the common disease processes and symptoms that affect the cardiovascular system. Name the organs of the respiratory system. Describe the functions of all the components of the respiratory system. Describe the common disease processes and symptoms that affect the respiratory system. Use terminology related to the organs and the diseases the respiratory system. Interested in being notified about future offerings of OFFC 1001 - Anatomy and Terminology 1? If so, fill out the information below and we'll notify you by email when courses for each new term are displayed here.